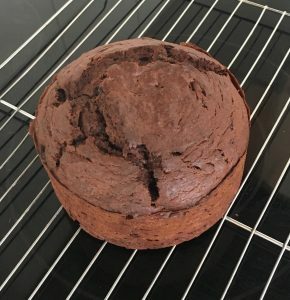 Posted on May 5, 2018 Posted in Cakes	. Think of the best flavor combo you can that is robustly complementary and succulently delicious. For me, (and I would anticipate a lot of other people) I think chocolate and caramel. And how do you mix these flavors up with a curious twist and give it personality? You add banana (caramelised Banana OMG). 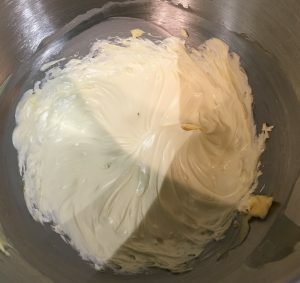 As this flavor combo is nothing ground breaking I wanted to mix it up and produce a cake that is definitely not the norm. Originally this bake was produced as a layered polenta pancake ‘cake’ with caramelized bananas in the layers covered by a chocolate ganache. 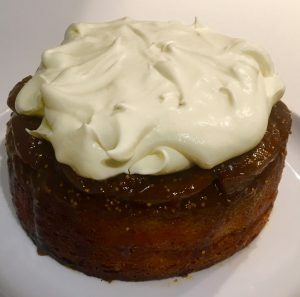 However, the caramelized banana was too soft and ran out the sides of the cake, making the ganache then spill off the cake (such a shame – this could have been an epic recipe). My next experiment with these flavours was inspired by my Orange and Poppy Seed Rice Cake , where I figured I could make a chocolate risotto cake with caramelised bananas on the top. To get the banana to stay and not spill like my last attempt I decided to make this like an upside down cake and bake the caramelised banana into the cake (not as a layer filling). After some playing around with the batters consistency I must say this cake has very interesting textures and addictive flavor! Line a 25cm cake tin with baking paper and pre-heat the oven to 180c degrees. Cut up the banana into slices, short ways (they will be the size of 20cent coin pieces) and leave aside. 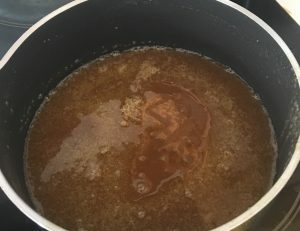 Place the white sugar in a saucepan on a high heat and stir until the sugar melts and starts to brown. 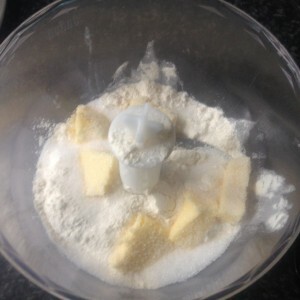 Add the butter, being careful with the splatter and mix with a wooden spoon until combine. Add the cream again being careful with the splash and stir until smooth and silky. 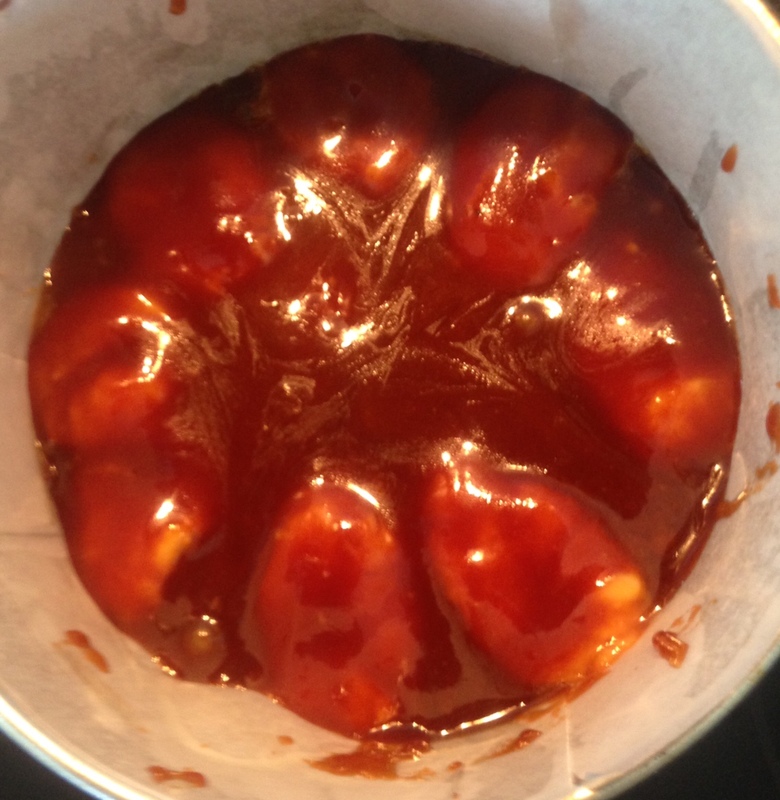 Add the banana slices and stir to coat them in the mix until they slightly soften. 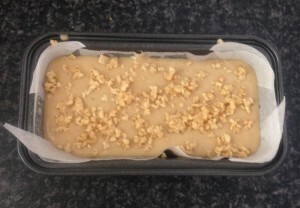 Place the banana sliced in the base of the prepared cake tin with no overlap. 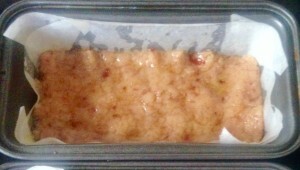 Pour the remaining caramel over the top to evenly cover the banana and place the tin in the freezer to harden slightly. 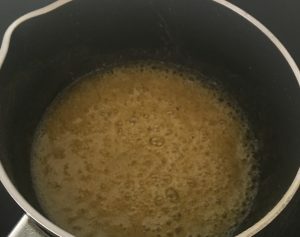 Meanwhile, place the vanilla essence, rice and cream into a saucepan on a simmering heat, stirring until the cream is absorbed. 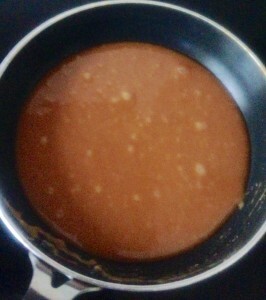 Place the brown sugar into a bowl with the milk and stir until dissolved. Slowly add the milk mix to the rice mix, 100ml at a time it’s until absorbed. Continue this process until all the milk has been absorbed and the rice resembles a creamy risotto like consistency. Leave the mix aside until cool. 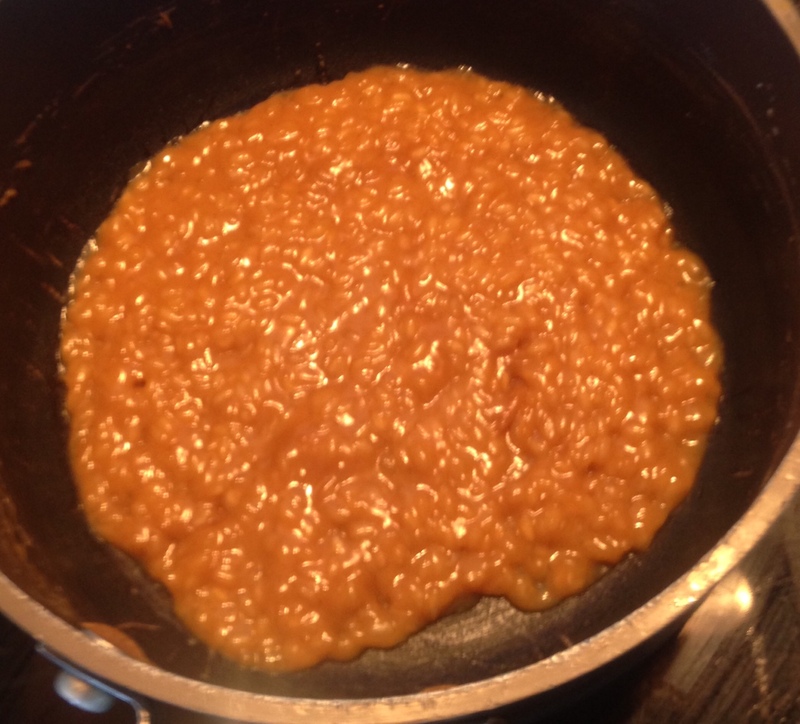 Place the eggs, one at a time into the rice mix, whisking each addition with a hand whisk. 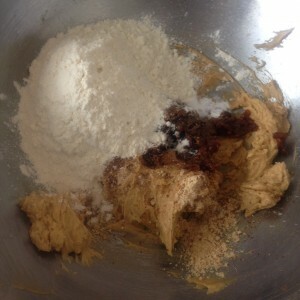 Add the flour and cocoa powder to the mix and whisk until well combine. 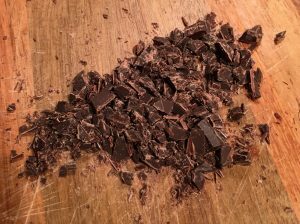 Place the chocolate in a bowl over a saucepan of simmering water on the stove, stir the chocolate until just melted and smooth. 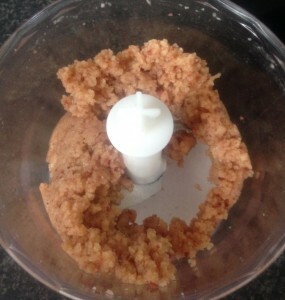 Add the melter chocolate to the mix and whisk with a hand whisk until combine. Spoon the mix over the top of the caramel bananas and place in the oven for 45 minutes or until a skewer inserted in the center comes out just clean. 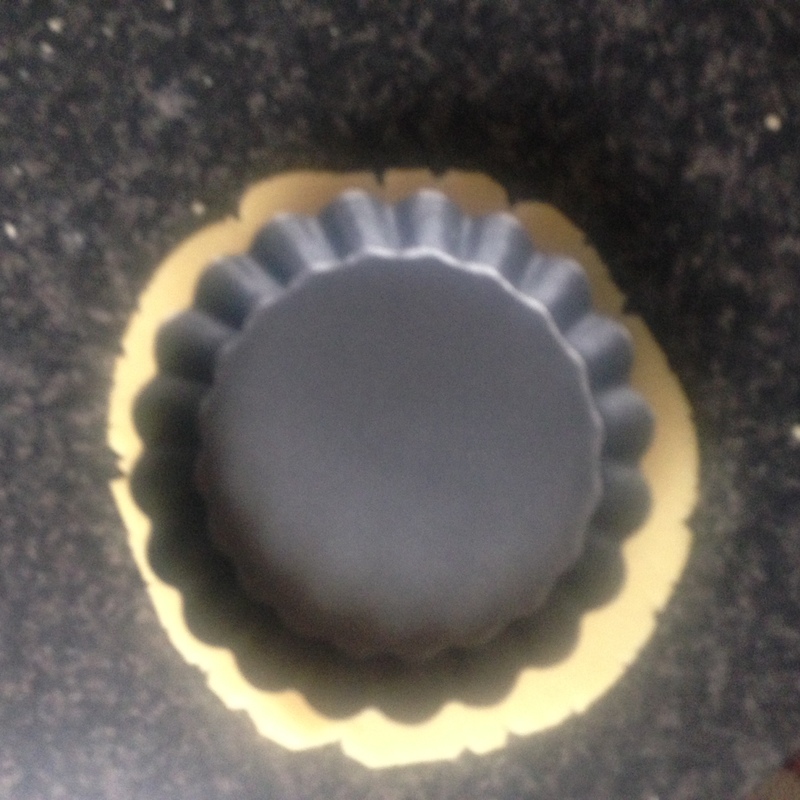 Leave the cake in the tin for 20 minutes then invert onto a plate. Tags: banana, caramel, caramel banana, Caramelised Banana Chocolate Rice Cake, chocolate, Rice	. Posted on March 11, 2017 Posted in Cakes	. This cake is actually a massive fluke. 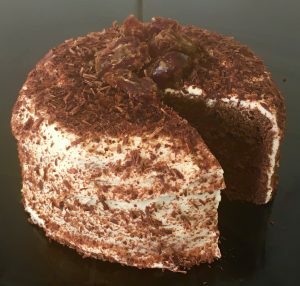 Originally I wanted to make a creamy soda cake and planned to use my Coca-Cola Chocolate Cake recipe and substitute the cola for creamy soda. 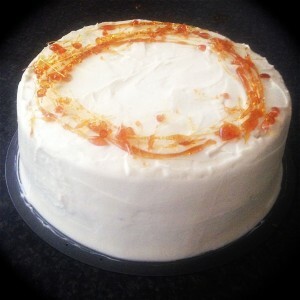 After I made this cake I soon realised that the creamy soda taste is so subtitle that it just tastes like a plan vanilla cake. 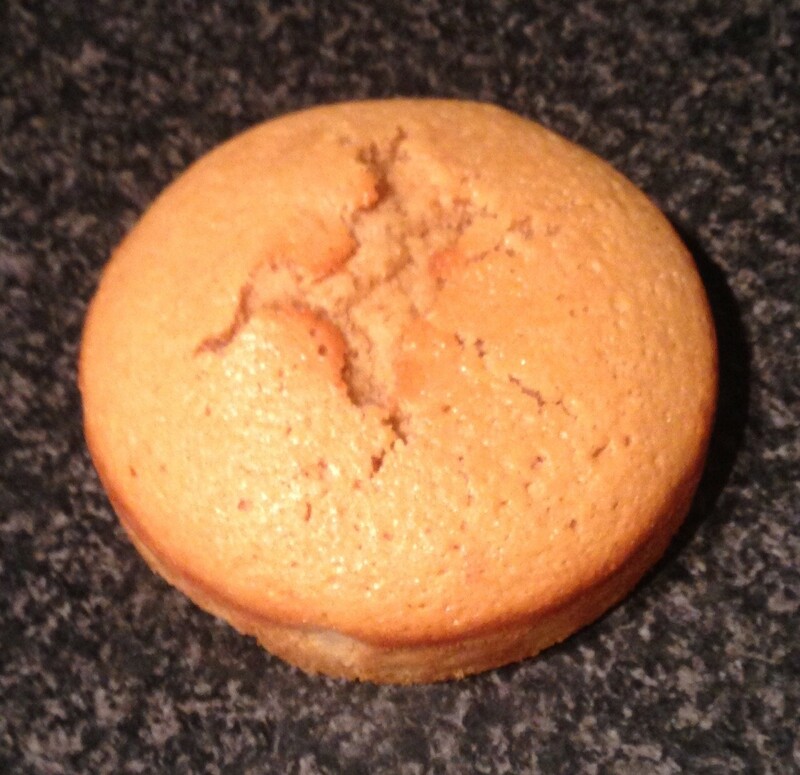 As I was in the baking mood I then decided that this was a flop and I would make a new cake. 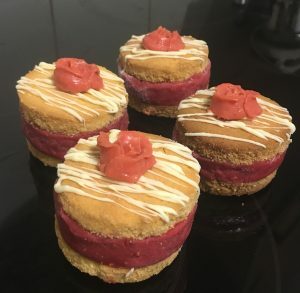 I still wanted to do a drink based cake so I took inspiration from the night before – Saturday nights drinks. 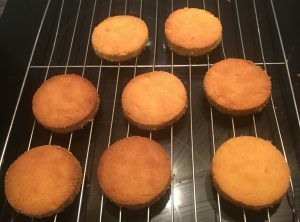 A friend was drinking spiced rum with ginger beer – so I thought of still using the coca-cola recipe as the base but replacing the cola with spiced Rum and added ground ginger to the mix. 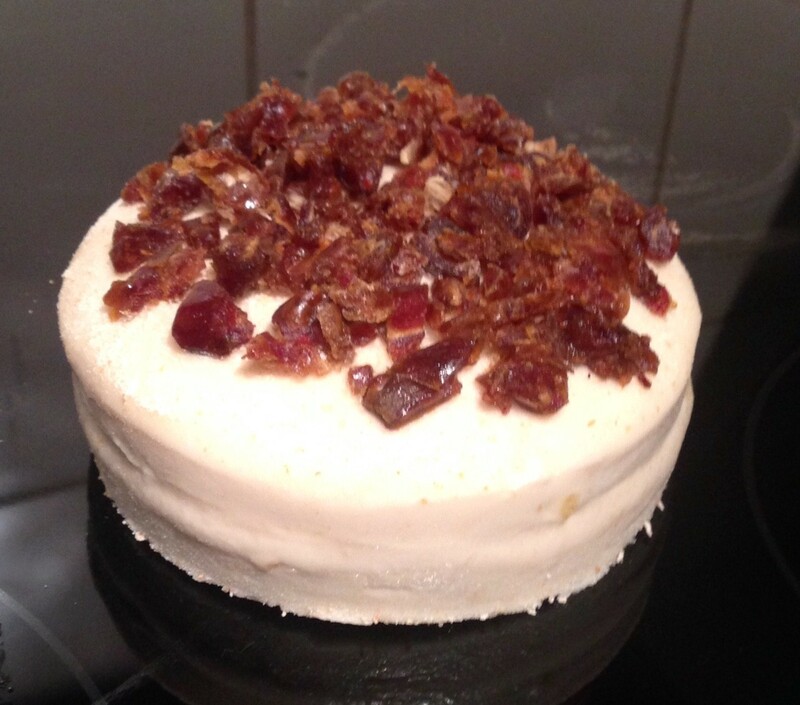 This though was still a little ordinary, therefore to add another layer I made ginger rum banana filling and topped the cake with some chopped dates. 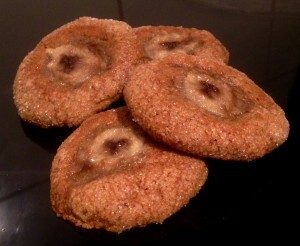 I figured the dates could play the same role as raisins do in the ‘rum & raisin’ combo. 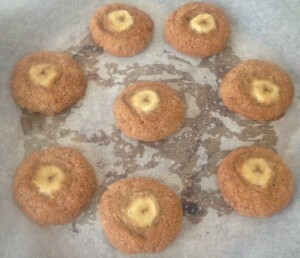 Additionally banana works well with ginger and rum so if could be a good inclusion. 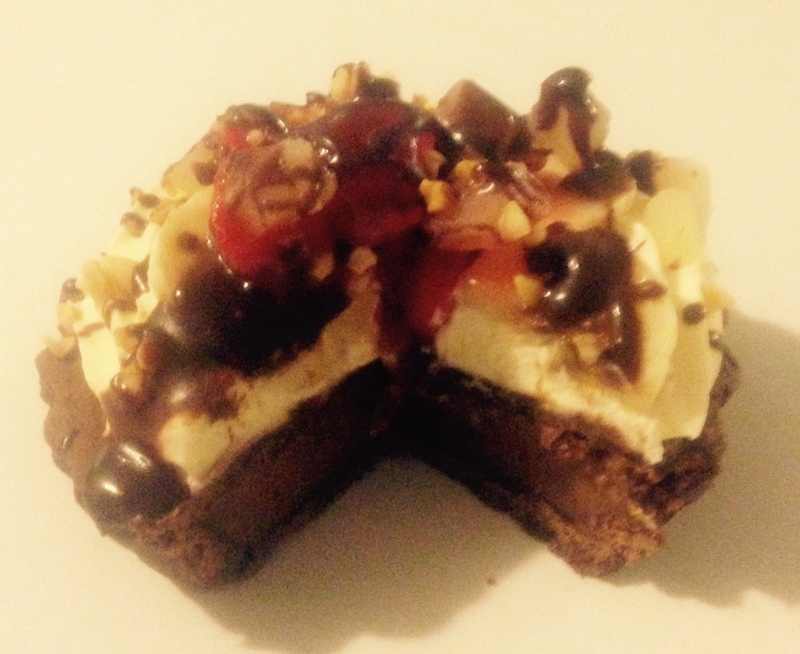 Outcome – this cake hits the spot! 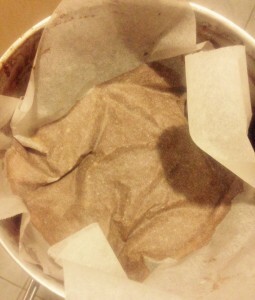 Pre-heat the oven to 180c degrees and line a 23cm cake tin with baking paper. Place the flour, sugar, salt and ginger into a bowl and stir until well combined. 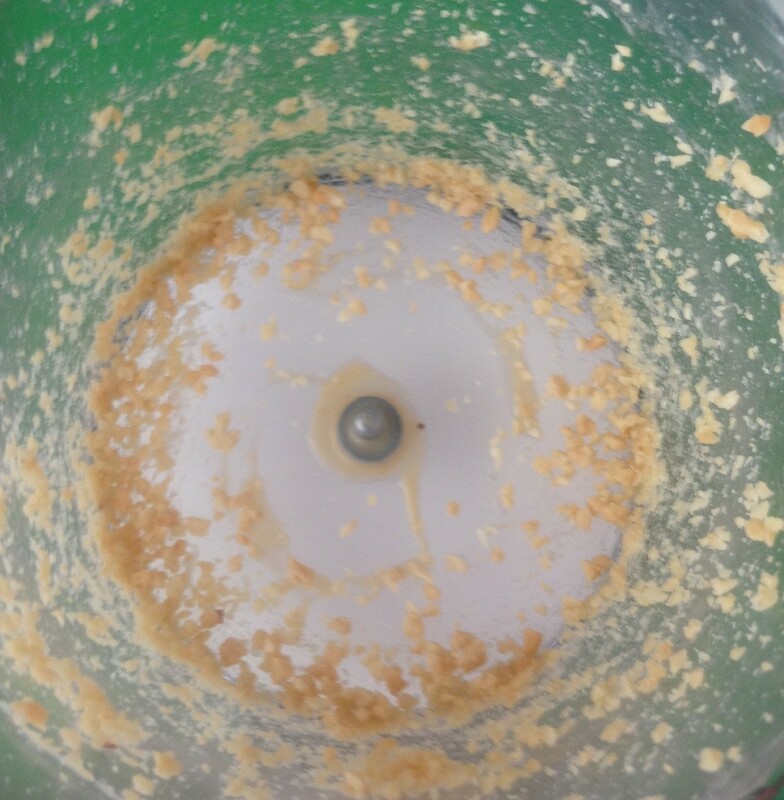 Place the egg, milk and vanilla into a bowl and using electric beaters beat until light and fluffy. Place the butter and rum into a saucepan and heat on low until the butter is melted, take off the heat. 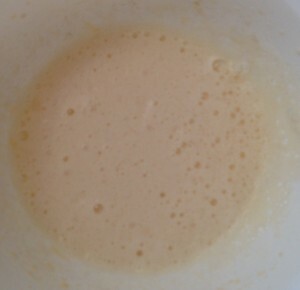 Stir the egg mix into the dry mix until well combined. Add the rum mix and beat with electric beaters until smooth. Pour the cake mix into the tin and bake for 50 minutes or until a skewer inserted into the center comes out clean. Meanwhile to make the filling mash the bananas until smooth (if lumpy pass through a sieve). 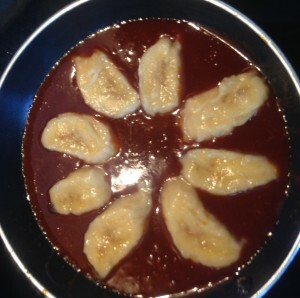 Place the filling ingredients into a saucepan and stir on a medium heat until well combine and the bananas have absorbed the other ingredients. Set aside. 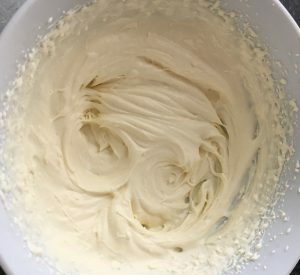 To make the icing place all the ingredients into a bowl and using electric beaters whisk until smooth and creamy, set aside. 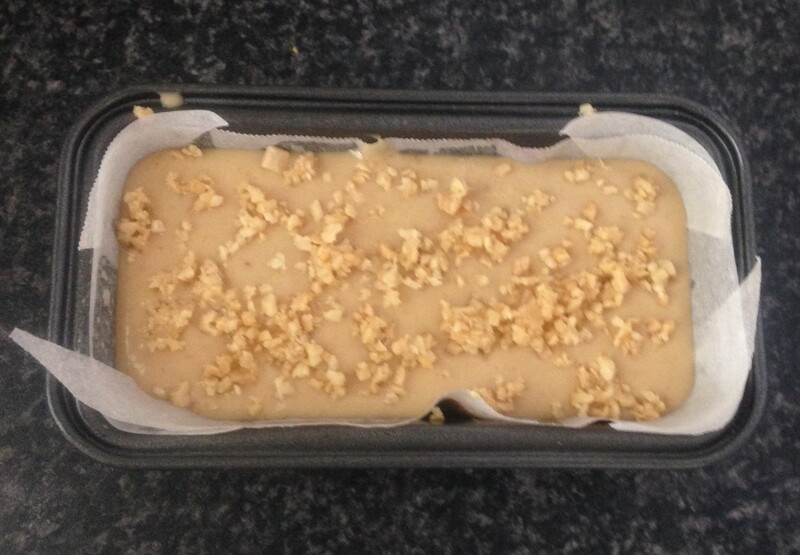 Cut the cake in half horizontally and spread the banana mix evenly on the top of one cake layer. 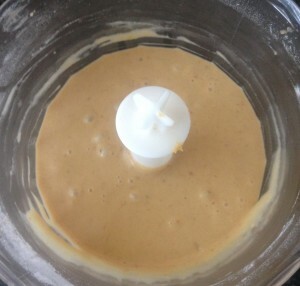 Place the second layer onto the banana mix. Spread the icing over the top and sides of the cake. 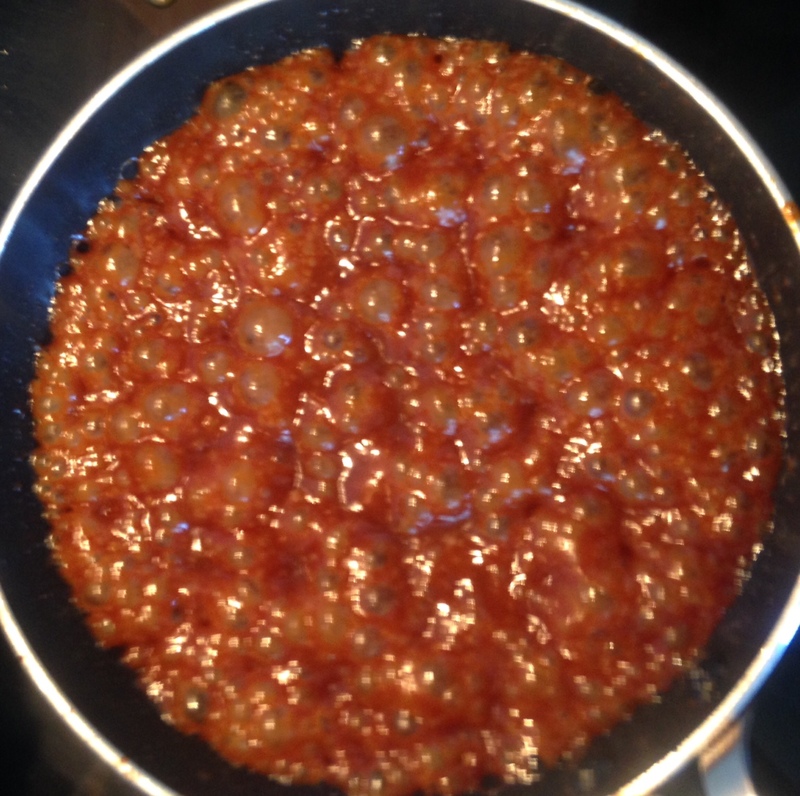 Top with diced dates and serve. 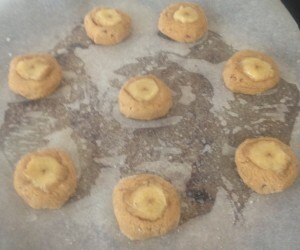 Tags: banana, dates, ginger, rum, Rum Banana Ginger and Date Cake	. Posted on November 20, 2016 Posted in Cakes	. The idea of this cake came from wanting to bake with the flavor combinations of chocolate, banana, coffee and dates. Yes this seems like a very weird combination but it works! 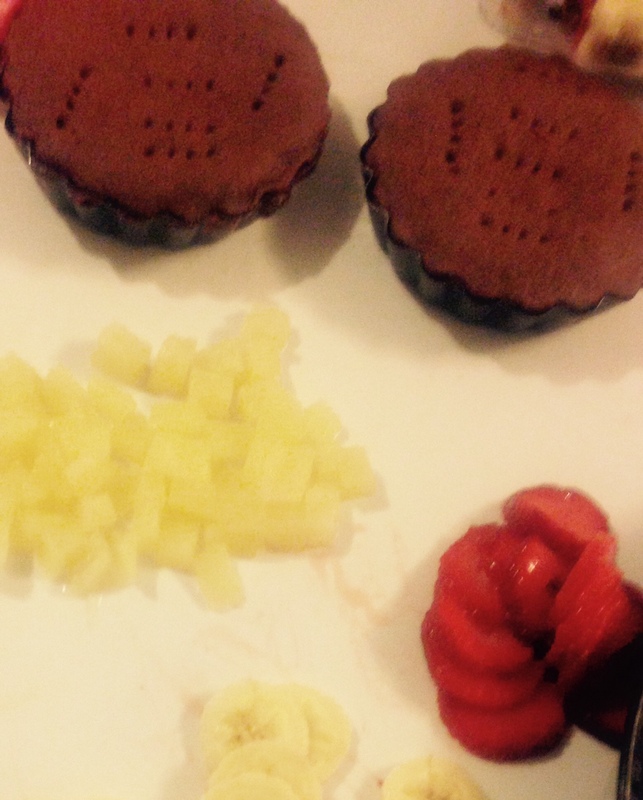 How I came up with this recipe, well we know chocolate and coffee are a dream together. 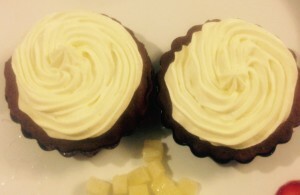 Banana and chocolate are also an obvious paring. The dates were a way of cutting down the sugar amount in the cake, however they also go really well with banana. 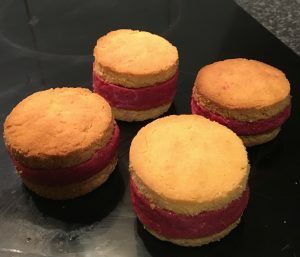 After playing around with these ingredients and the quantity of each one the final cake recipe came out absolutely delicious. The flavor just works together so well – I even surprised myself with this hit. Pre-heat the oven to 180c degrees and line a 30cm cake tin with baking paper. 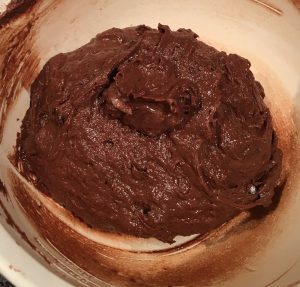 Sieve the flour, cocoa powder and sugar into a bowl. 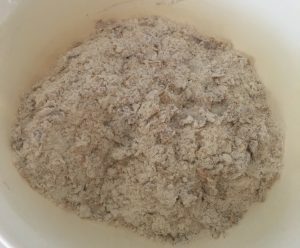 Make a well shape in the center of the dry mix. 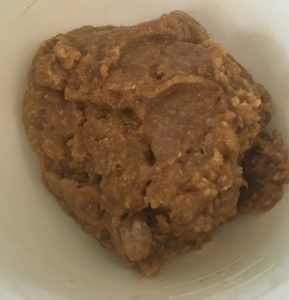 Mash the banana until smooth in a bowl. 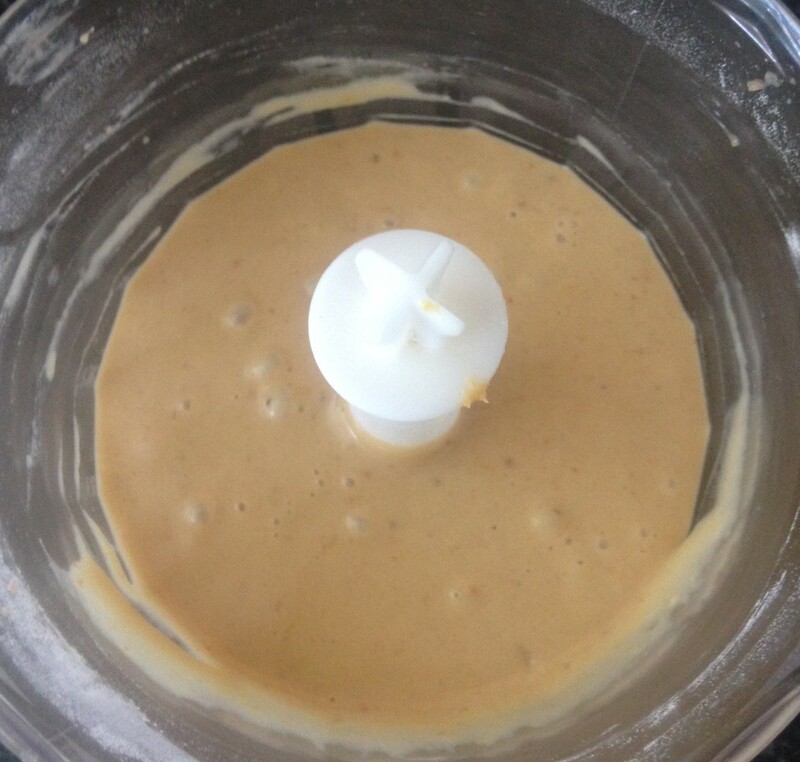 Add the egg and yoghurt to the banana mix and whisk with a fork until well combine. Melt the butter and add the coffee granules, stir. Add to the banana mix and stir until combine. 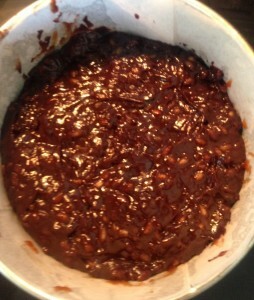 Dice the dates and chocolate into small pieces and add to the dry mix, stir to combine. Add the wet mix into the center of the dry mix and using a spoon stir until well combine. 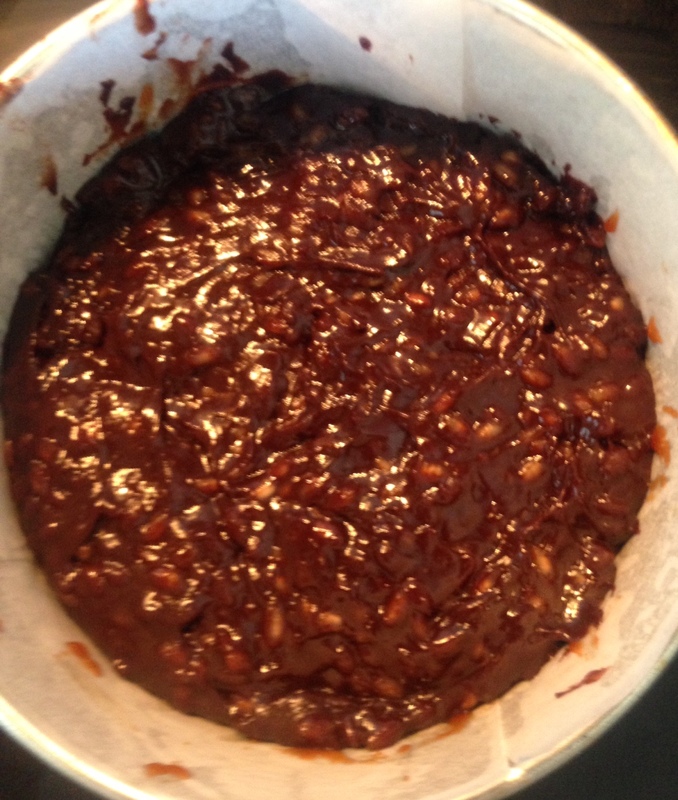 Add the dates and chocolate and stir to combine. 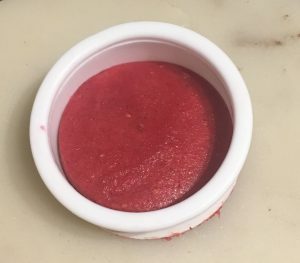 Spoon the mix into the tin and flatten the top with the back of a spoon. 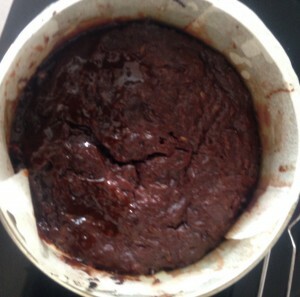 Bake the cake for 1 hour or until a skewer inserted into the center comes out clean. 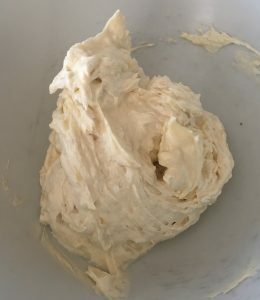 Meanwhile whisk the cream, icing sugar and vanilla until peaks form. Decorate with shavings of chocolate and a few extra chopped dates. 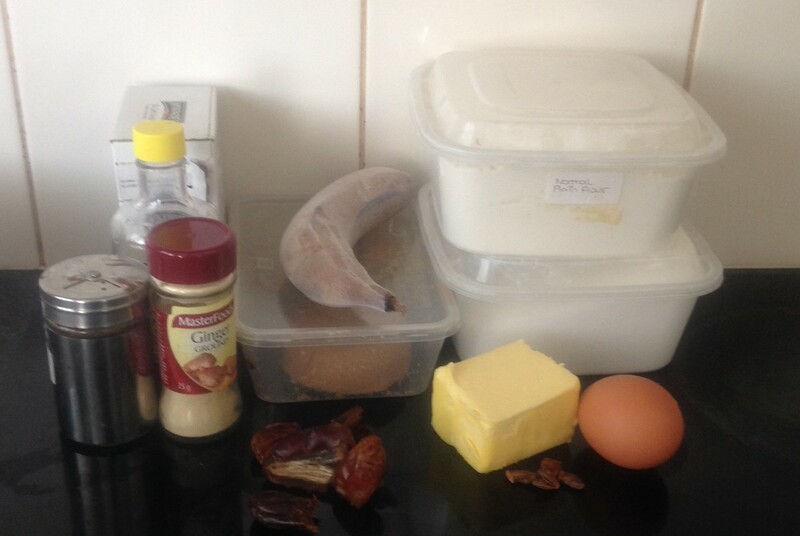 Tags: banana, Banana Yoghurt Mocha Date Cake, chocolate, coffee, date, mocha, yoghurt	. Posted on March 2, 2015 Posted in Slice	. 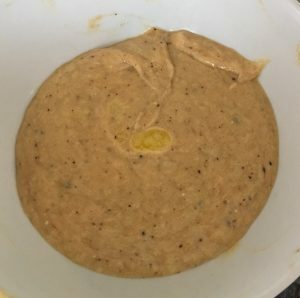 I have had the flavour pairing of bacon and banana on my radar for quite some time now, however was unsure of how to incorporate these two ingredients into a recipe that would work, have the perfect texture, complement other ingredients and be super tasty. I’m familiar with baking with bacon and know that it is a massive flavour enhancer (my Chocolate Bacon Cake is amazing). 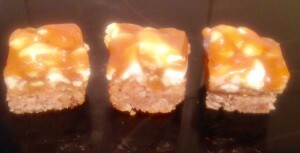 After a bit of experimenting I ended up very happy with a caramel slice type recipe that incorporated the bacon and banana. 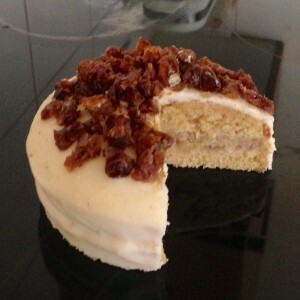 The caramel and bacon work so well together, the bacon is almost like a natural salt, thus making a lovely salted caramel flavour. Additionally banana and caramel are amazing together (hello Banoffee Pie). 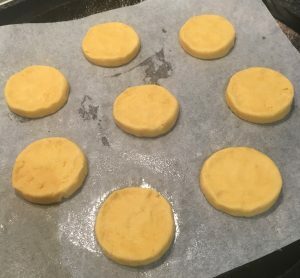 As banana is quite a soft ingredient and does not hold is shape well (unlike marshmallow) I have opted for banana chips for this recipe. 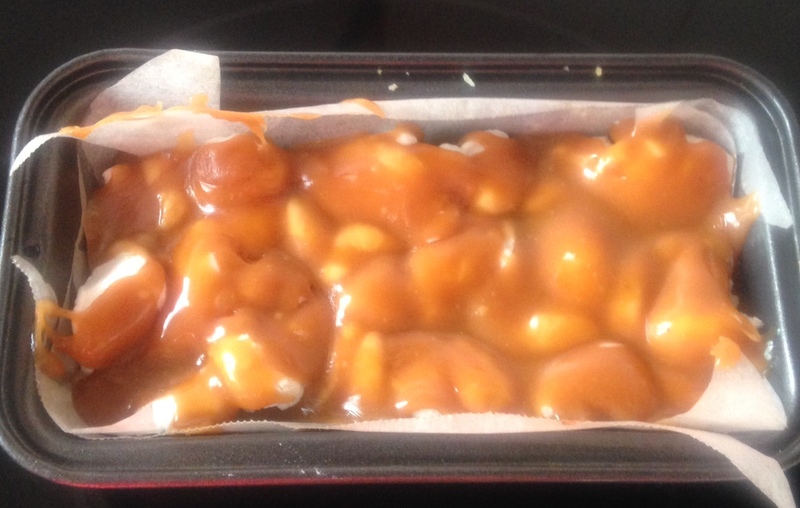 The chips actually provide a lovely complementary crunch to the smooth caramel and fluffy marshmallows. Pre-heat the oven to 180c degrees and line a 15cm x 15cm square cake tin with baking paper. On a high heat place the bacon pieces in a saucepan and fry until the bacon is brown and bubbling. 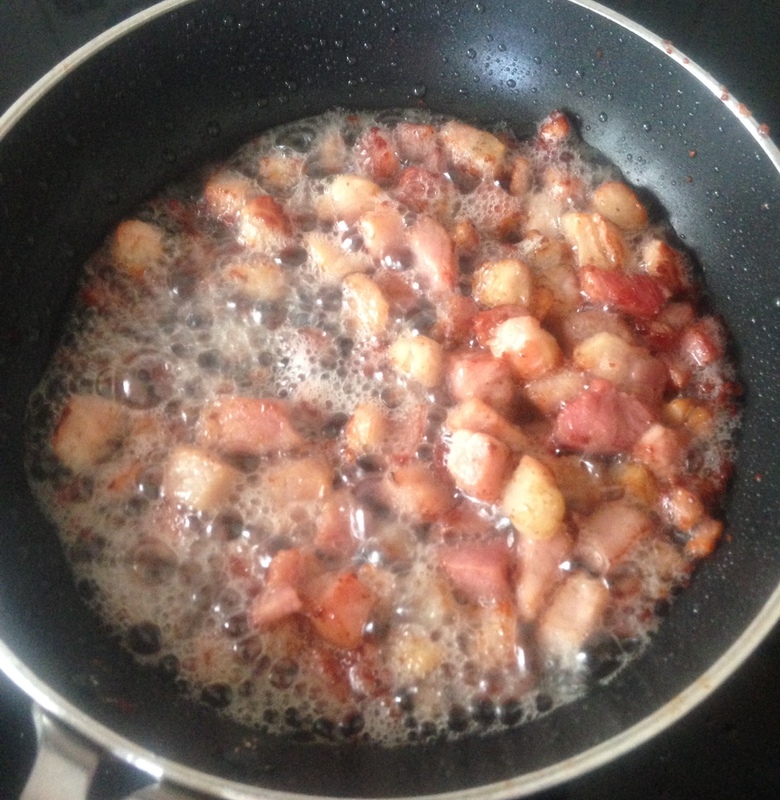 Place the bacon on paper towel to absorb the oil then place in a food processor (you will have 100g of cooked bacon pieces). Place the melted bacon, butter, sugar and flours in the food processor and blitz on high until the bacon is as fine as breadcrumbs. 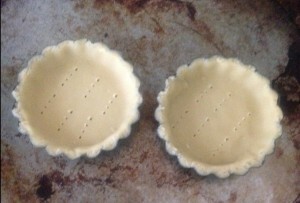 Pour the mix into the tin, flatten with a spoon and bake in the oven for 30 minutes or until firm to touch. 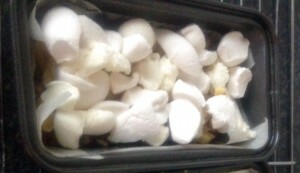 Cut up the banana chips into small pieces as well as the marshmallows. Scatter the banana and marshmallows over the top of the biscuit base. Place the cream and caramels in a saucepan on a medium heat and stir until the caramel and cream become smooth and melted. 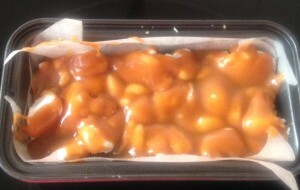 Pour the warm caramel over the top of the slice. 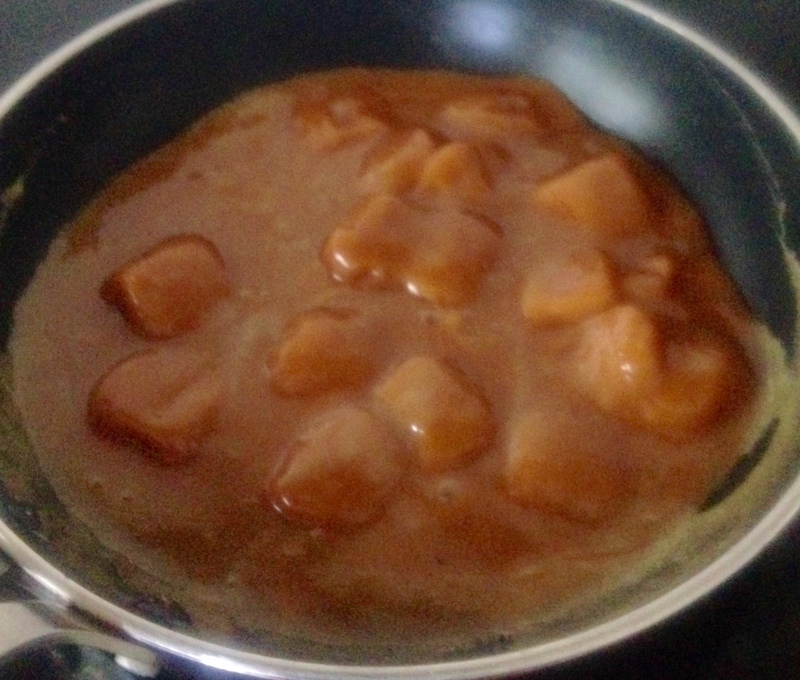 Allow the caramel to set then cut into square pieces. Tags: bacon, banana, Banana and Bacon Caramel Slice, caramel, slice	. 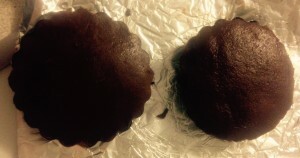 Posted on April 21, 2014 Posted in America, Cakes	. 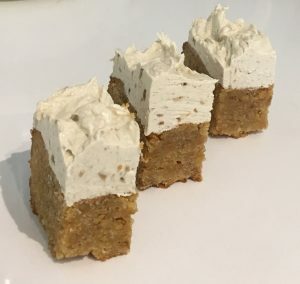 Being a fan of making different and traditional recipes I became familiar with an American cake treat – the Hummingbird cake. 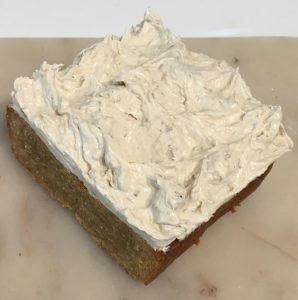 There are actually quite a few variations of this cake, some with carrot, some with banana, some with walnuts, some with pecans. 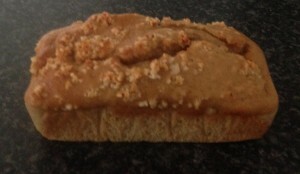 However, after doing a little investigating I managed to track down the original recipe that was created by Mrs. L.H. Wiggins of North Carolina in February 1978! 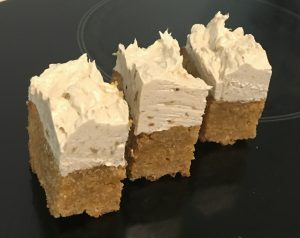 Needless to say I opted for the ingredient mix that she used, however my recipe has key shortcuts and little tweaks to enhance the flavour. 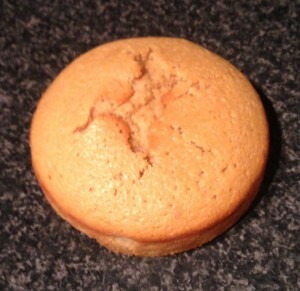 Outcome = This cake is sooo tasty. Think banana cake with a hint of a spiced carrot cake twist (thanks to the cinnamon and nuts). Pre-heat the oven to 180c fan forced. Drain the can of pineapple reserving the juice for later. Using a food processor process the pineapple pieces until coarsely chopped. Process the banana until smooth. 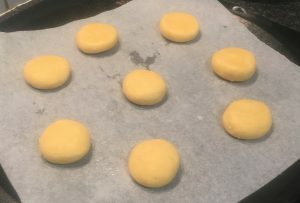 Using electric beaters beat the butter and sugar until creamy and smooth. Add in the eggs one at a time, beating in between each addition. Stir in the pineapple, banana, coconut and pecans until combined. Add the flour and cinnamon, stir to combine. 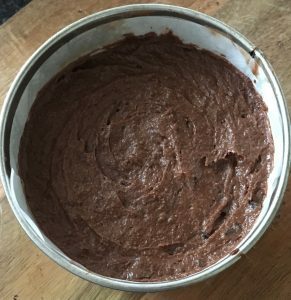 Pour mix into the cake tin, level out with a spoon and bake for 50 minutes or until the skewer in the center comes out clean. 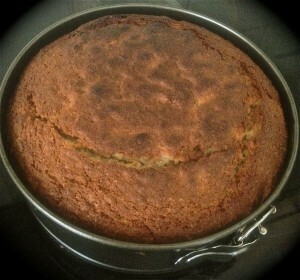 Let the cake stand for 15 mins then transfer onto a cooling rack. 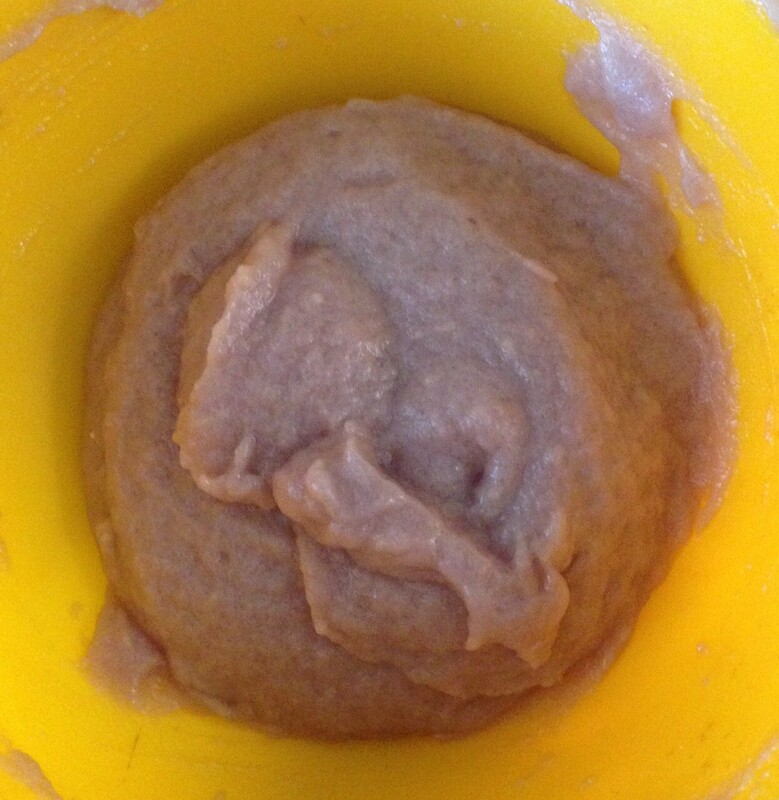 To make the icing add all the ingredients into a bowl and stir with a wooden spoon until just combined. Using electric beaters beat for 5 minutes until light and fluffy. 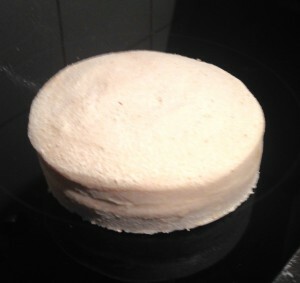 Place in the fridge until cake is cooled. 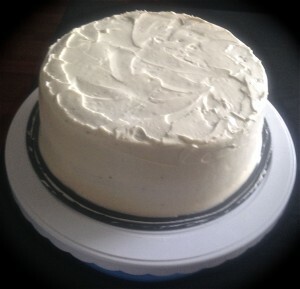 Cut the cake in half, spread icing in the center, then the remainder of the icing around the outside of the cake. Decorate with any leftover pecans or you can do what I did which was place white sugar in a pan on the stove until it caramelises. 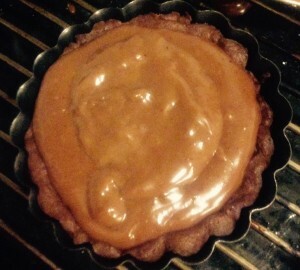 Then using a fork place in the caramel and swirl over the cake in a circular motion until the caramel is used up. You can replace the pecans with walnuts. Or if you wish, you can replace the banana with a grated carrot. 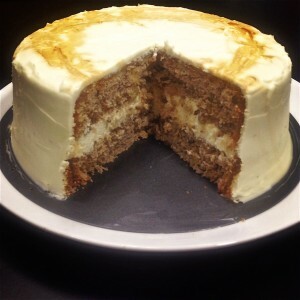 See the original 1978 recipe at http://www.southernliving.com/food/entertaining/hummingbird-cake. 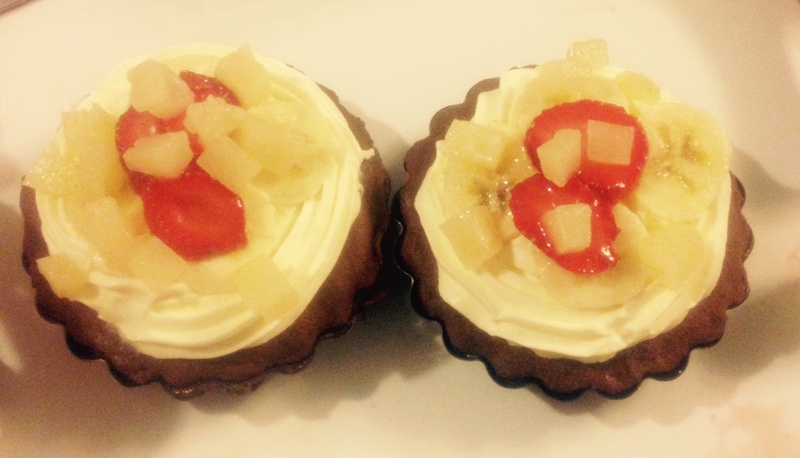 Tags: baking, banana, hummingbird, hummingbird cake, Hummingbird Cake recipe, peacans, pineapple, recipe	.